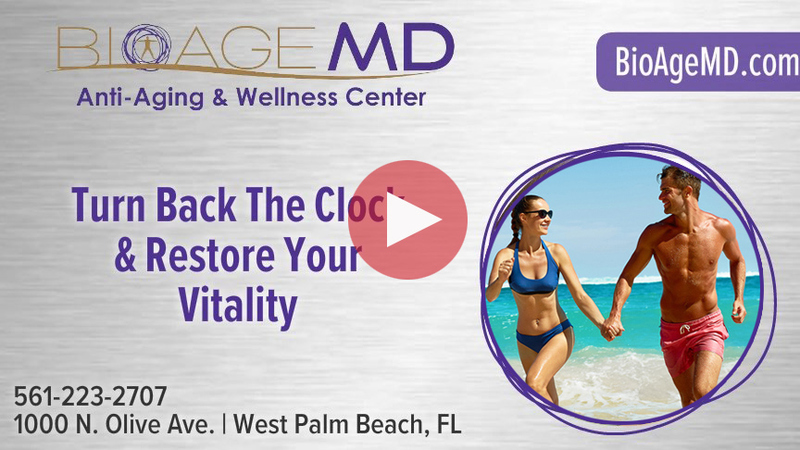 restore your healthiest body and increase your vitality. At BioAge MD, we’ve found the ultimate solution for brain restoration! All active gym members in our area receive 10% off all products and procedures. These cutting-edge, anti-aging, wellness solutions help patients feel, sleep, and live better. We do sell these supplements locally and nationally. We believe that our work doesn’t end with simply providing you with the best products. To increase effectiveness and improve absorption, we strongly encourage proper diet and exercise. For this reason, we have a team of professionals that are dedicated to helping address major concerns regarding health and wellness. We continuously update our facility with the latest technology, procedures, and supplements to help improve our patients’ quality of life. Each of our services is tested in-house to ensure that we maintain the highest standard in anti-aging and wellness solutions. We believe in prevention. To help us determine needs before they become a problem, we perform extensive testing protocols. With our help, you can achieve your wellness goals and gain many rewards for your future. My experience with Dr. Dadurian and her staff was excellent! Very professional and nice. The Dr. is very gentle, I never got bruised and the Botox lasted a good amount of time! Call us today to set up a FREE consultation. Our clinic is conveniently located in the heart of West Palm Beach, FL, with lots of FREE parking. We look forward to serving you!